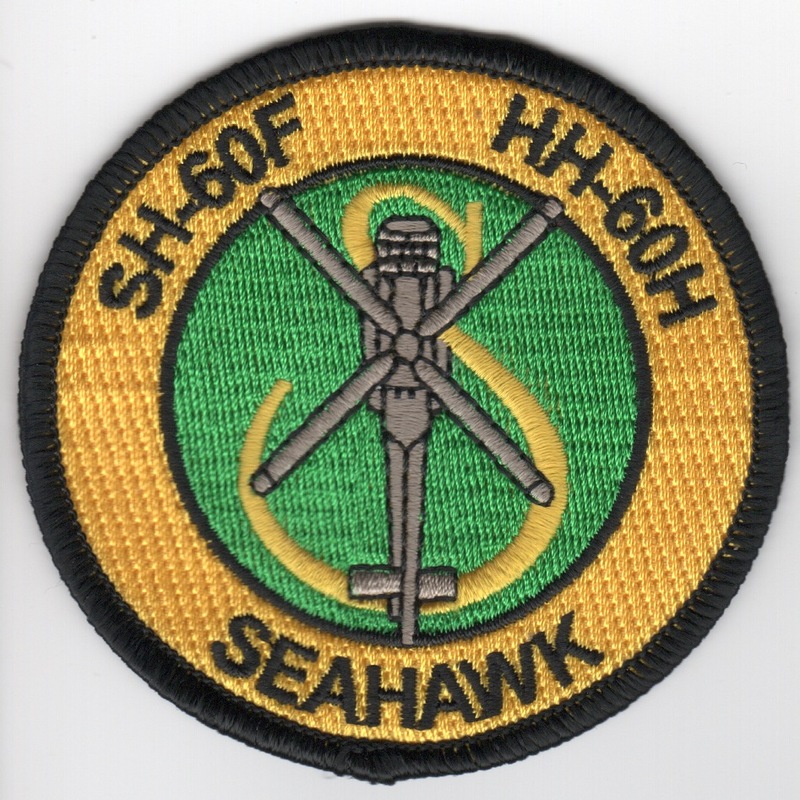 This is the SH-60 LAMPS Aircraft helo patch worn on the left sleeve of the flight suit. This is the SH-60 LAMPS MK III Aircraft helo patch showing them picking a "Tomcat" (Felix) from the waters. This patch is worn on the left sleeve of the flight suit of the pilots who have rescued a downed aircrewman. 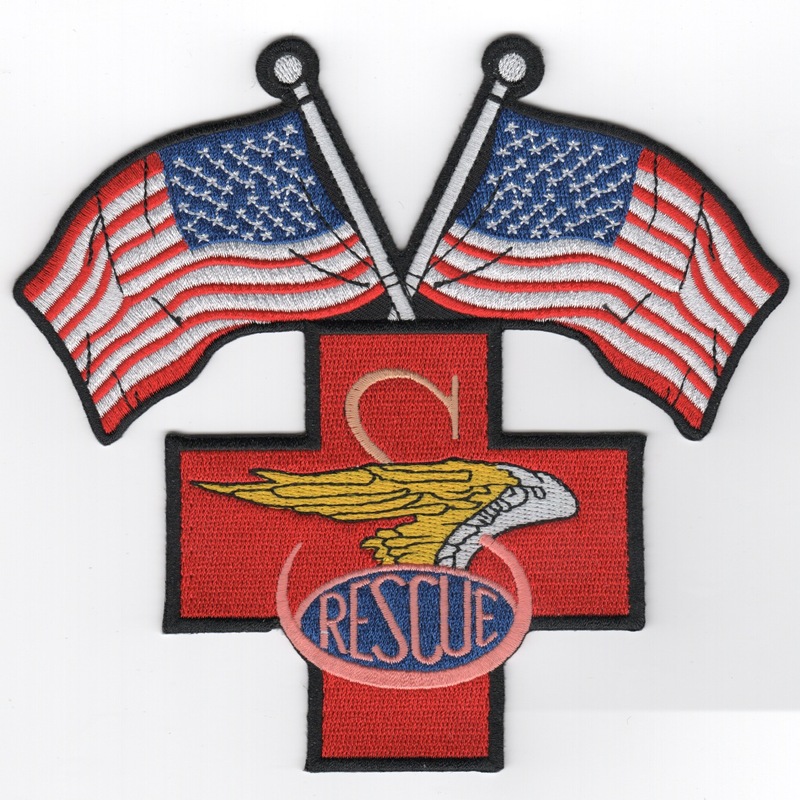 This is the SH-60 'BACKPATCH' that shows the RED CROSS and has TWO American Flags. It says "RESCUE" in the middle of the patch and has the Sikorsky 'S' on the Red Cross. This is a large patch designed for the helmet bag or the back of the flight jacket and does not come with velcro attached. 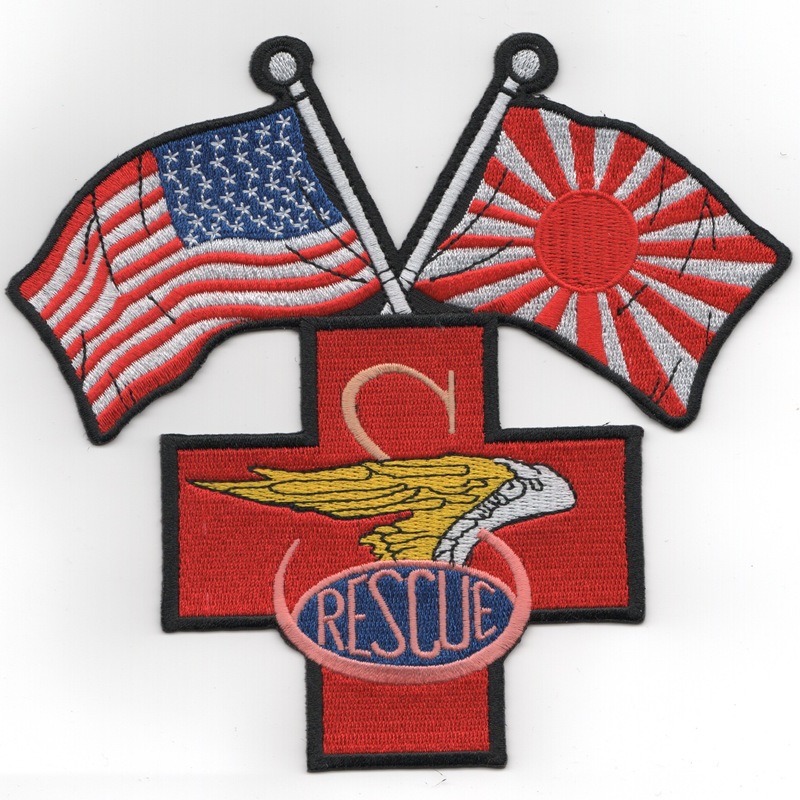 This is the SH-60 'BACKPATCH' that shows the RED CROSS, does NOT have an Eagle, and has the American and Japanese Flags. It says "RESCUE" in the middle of the patch and has the Sikorsky 'S' on the Red Cross. This is a large patch designed for the helmet bag or the back of the flight jacket and does not come with velcro attached. 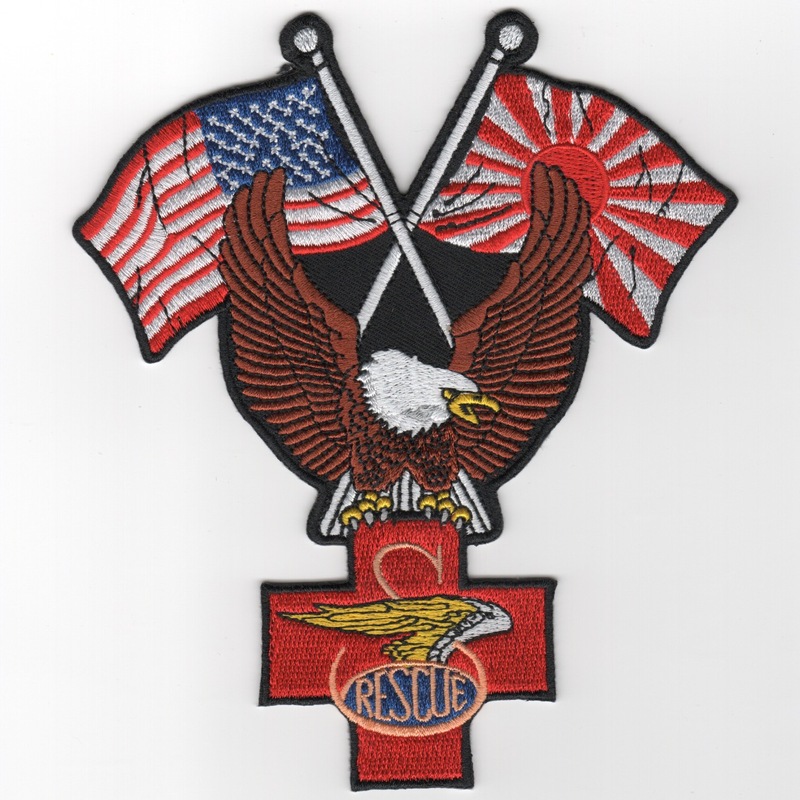 This is the SH-60 'BACKPATCH' that shows the RED CROSS, does have an Eagle, and has the American and Japanese Flags. It says "RESCUE" in the middle of the patch and has the Sikorsky 'S' on the Red Cross. This is a large patch designed for the helmet bag or the back of the flight jacket and does not come with velcro attached. 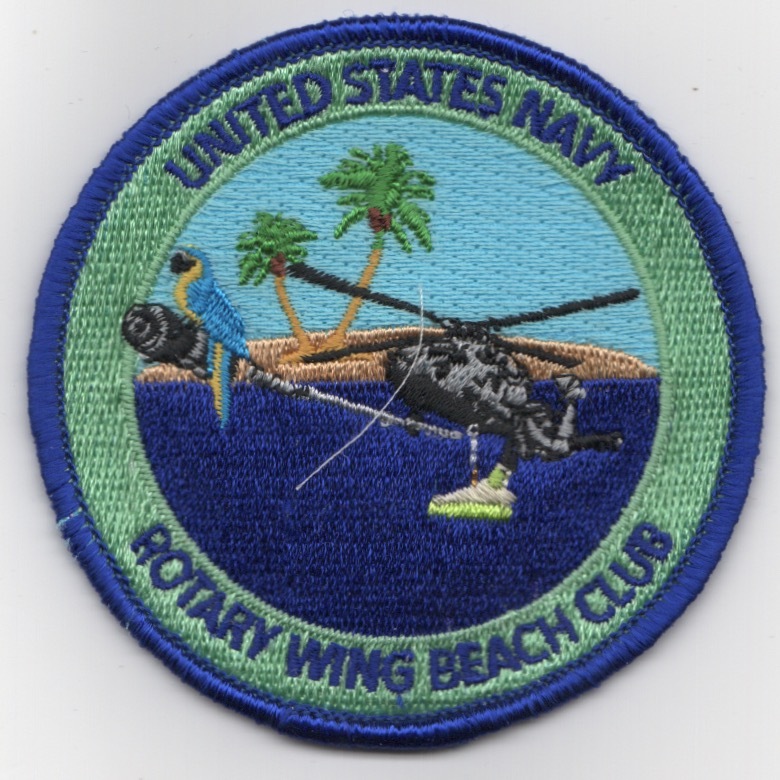 This is the SH-60 'BACKPATCH' that shows the large Sikorsky 'S' and wing logo, and has TWO American Flags. This is a large patch designed for the helmet bag or the back of the flight jacket and does not come with velcro attached. 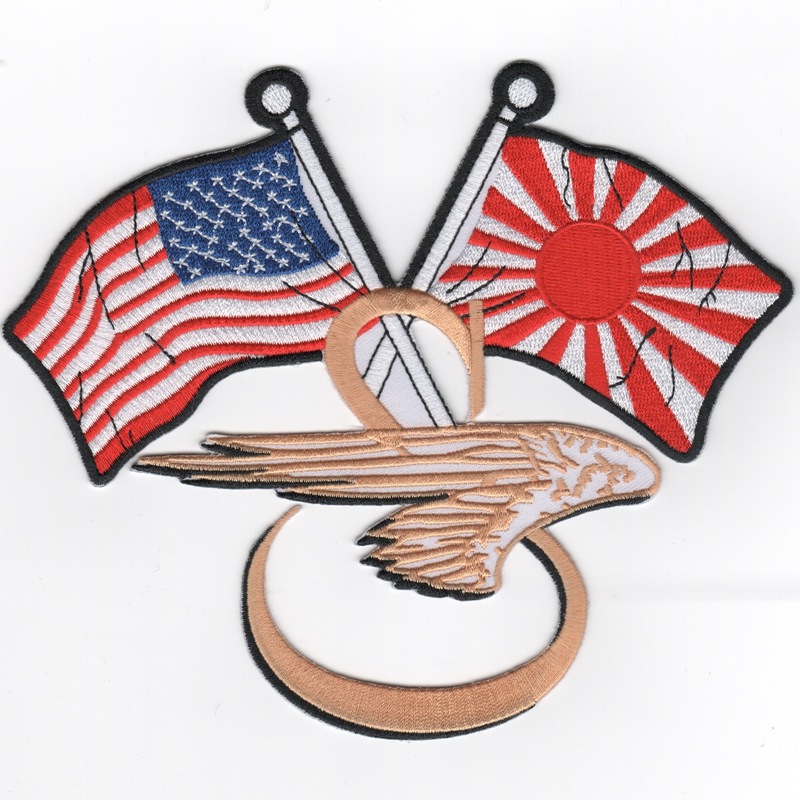 This is the SH-60 'BACKPATCH' that shows the large Sikorsky 'S' and wing logo, and has ONE American Flag and ONE Japanese Flag. This is a large patch designed for the helmet bag or the back of the flight jacket and does not come with velcro attached. Use this link to get one of each of the three SH-60 backpatches as a discount. The Sikorsky SH-60/MH-60 Seahawk (or Sea Hawk) is a twin turboshaft engine, multi-mission United States Navy helicopter based on the United States Army UH-60 Black Hawk and a member of the Sikorsky S-70 family. The U.S. Navy uses the H-60 airframe under the model designations SH-60B, SH-60F, HH-60H, MH-60R, and MH-60S. Able to deploy aboard any air-capable ship or aircraft carrier, the Seahawk can handle anti-submarine warfare (ASW), anti-surface warfare (ASUW), naval special warfare (NSW) insertion, search and rescue (SAR), combat search and rescue (CSAR), vertical replenishment (VERTREP), and medical evacuation (MEDEVAC). All Navy H-60s carry a rescue hoist for SAR/CSAR missions. This patch does not come with velcro attached. This is the "yellow/green" version of the SH-60F/HH-60H bullet patch for the Seahawk helicopter and does not come with velcro attached. This is the SH-60 LAMPS Aircraft Diamond helo patch worn on the left sleeve of the flight suit. 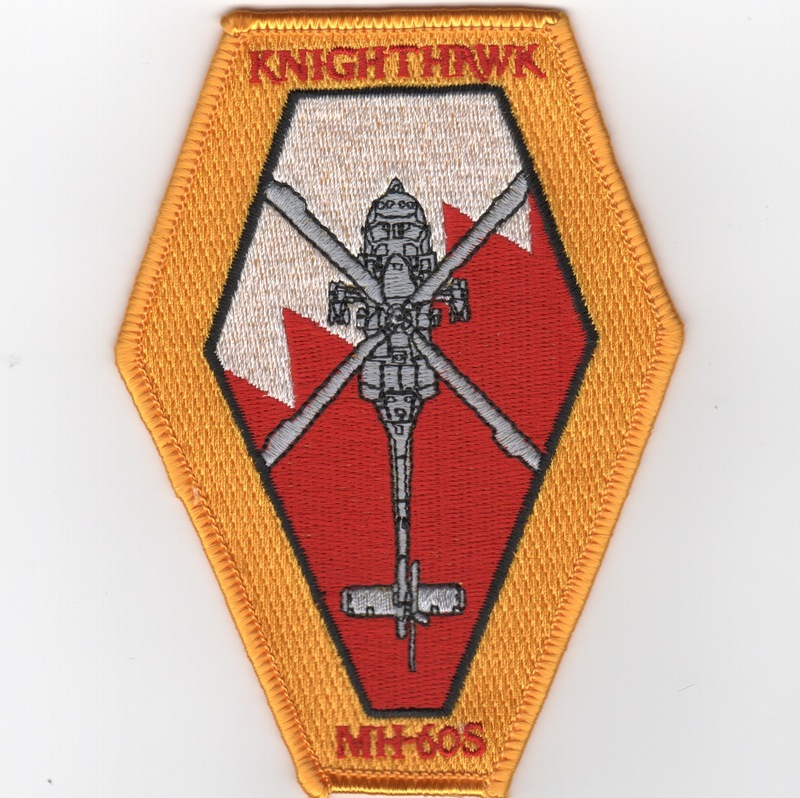 This is the "coffin" patch (that's due to the shape) for the MH-60s 'Knighthawks'. 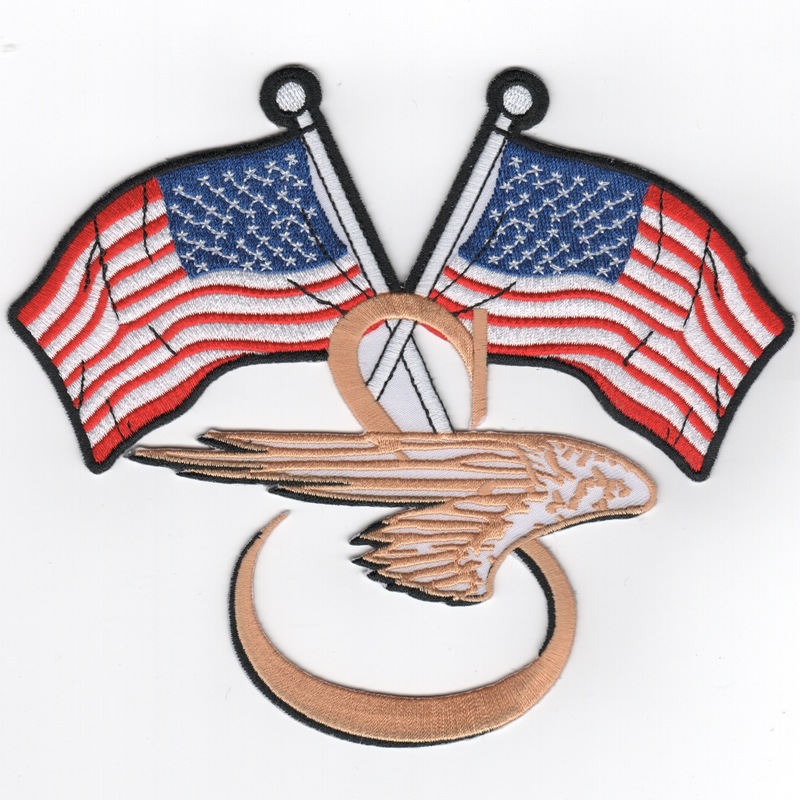 This is the "Made in the Good Old USA" helo patch for the OH-6 CAYUSE. It also says "Flying for Freedom" on the bottom. 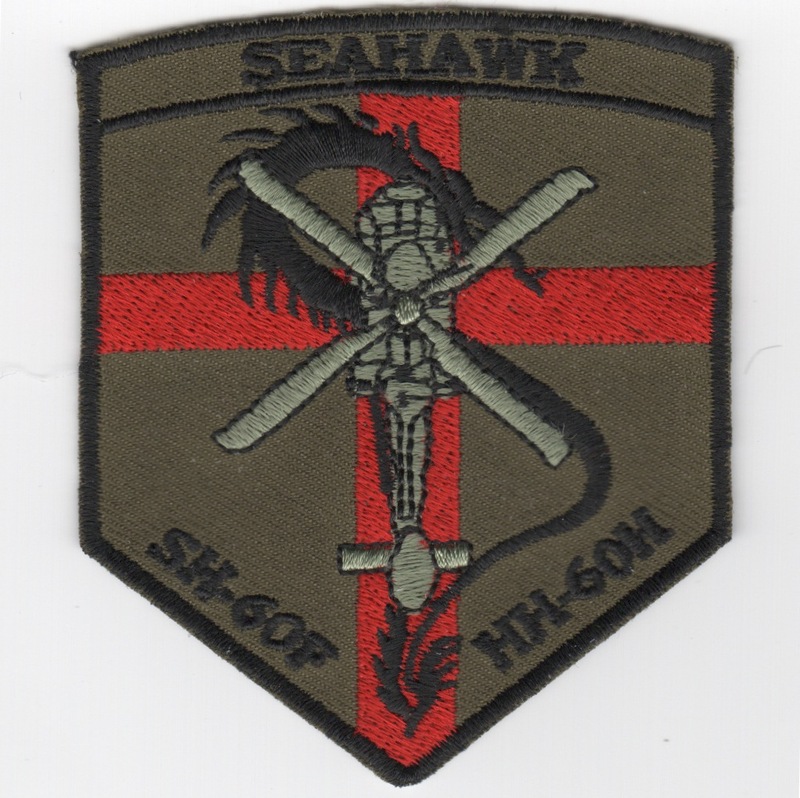 SH-60 Seahawk "FFF/Made in USA"
This is the "Made in the Good Old USA" helo patch for the SH-60 Seahawk. It also says "Flying for Freedom" on the bottom. UH-60 Blackhawk "FFF/Made in USA"
This is the "Made in the Good Old USA" helo patch for the UH-60 Blackhawk. It also says "Flying for Freedom" on the bottom. Homepage | Order Misc Helo Patches!